We aim to provide you not only with the software to carry out your accounting, payroll and business requirements, but all the support and advice that you need to ensure you get the best results for your business. The essential companion to your Sage software. Sage Cover is a complete package of services designed to bring you peace of mind, by ensuring you always have someone to turn to with the help and advice that you need, when you need it. There is always uncertainty in business so it's reassuring to know that with Sage Cover you have access to experts in Sage software, accounts, payroll and related issues who are ready to help. Sage Cover members simply call a local rate number to speak directly to software experts. To make things even easier, you can e-mail us with your questions and we'll reply by the end of the next working day. Keeping your accounting, payroll and business software up to date with the latest legislation is essential. SageCover helps you with this too. You will have access to any software revisions for your particular program as standard ensuring you are fully up to date with legal requirements. Sage software is designed to be easy to install and use. But experience has shown that almost all customers have questions from time to time. This is when access to Sage advisers becomes invaluable. Telephone Help-line: giving you access to customer support advisors all trained in Sage software plus Accounting and Payroll applications available 9.00am - 5.00pm Monday to Friday. At any time of the day or night, SageCover members have access to online support and useful information to help utilise your ACT! software and to support your business operations. As a SageCover member you can e-mail your questions to us as well as request product specific information from our Knowledge Base articles. Receive free software updates, capturing either product improvements or legislation and this is particularly vital when running Payroll Year End. Technical support is available to all users who have purchased SageCover, for problems relating to installation, data conversions, product usage and configuration. Why not give your software it's own unique identity. The standard layout contains everything you will need to get you up and running, but just imagine how much more professional your business will look with a personalised data entry screen designed to your specification. We can offer SageCover members discounts on this service, providing access to our team of experts to customise their software by removing data fields, adding your company logo and much more to give you a system that meets your every day needs. We know how important it is for you to measure such things as marketing campaigns and sales pipelines on a regular basis and that the initial set up of these reports can take up valuable time. 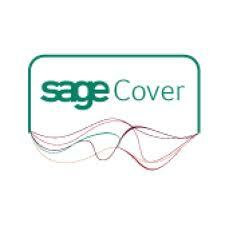 We can offer SageCover members discounts on this service to develop bespoke reports that meet your business and information needs. Your first report request will be offered free. To find out more about Sage Cover and how it can help your business, please call us free on 0845 257 3141, or Contact us here!